The Quality Payment Program was created by the Medicare Access and CHIP Reauthorization Act of 2015 and is a new approach to paying physicians and clinicians who treat Medicare beneficiaries. Under the Quality Payment Program, physicians and clinicians can choose from two payment paths: the Merit-based Incentive Payment System (MIPS) or the Advanced Alternative Payment Models (APMs). The Centers for Medicare & Medicaid Services (CMS) merged aspects of the Physician Quality Reporting System, the Value Modifier Program and the Medicare Electronic Health Record Incentive Program to create MIPS. Beginning in 2019, MIPS will pay eligible clinicians for providing care based on four performance categories: Promoting Interoperability, Improvement Activities, Cost and Quality. Our consultants work with eligible clinicians to help them report for MIPS and successfully advance through the program’s performance categories by providing technical assistance, education, outreach and distribution of learning modules. 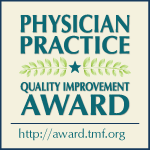 The TMF Quality Innovation Network supports practices with 16 or more clinicians throughout Arkansas, Missouri, Oklahoma, Puerto Rico and Texas. TMF also works under contract with CMS to assist clinicians in small (15 or fewer clinicians), rural and underserved practices in Arkansas, Colorado, Kansas, Louisiana, Mississippi, Missouri, Oklahoma, Puerto Rico and Texas. We also support members of our network with quality reporting and identifying opportunities to improve care coordination and performance improvement on measures used in MIPS, which will enable a smooth transition later into the Advanced APMs. Download this fact sheet (PDF) to learn more about the Quality Payment Program network. To join, create a free account and follow the prompts. Join the Quality and Cost Workshop to prepare for these two categories of MIPS. This workshop runs Feb. 14 through July 11 and includes an implementation guide and action items, live workshop sessions and individual support as needed. Sign up now. Download these resources to learn more about the Quality Payment Program network. Complete a Request for Support form and a TMF consultant will contact you within one business day. Chat live with TMF consultants or call 1-844-317-7609, available Monday to Friday, 8 a.m. to 5 p.m. CT.
Register today for this webinar on Tuesday, April 23, 11 a.m. to noon CT. Speaker Donna Cohen, RN, BSN, CCM, deputy director of population health, Alliant Health Solutions, will provide insight regarding using new Evaluation and Management (E&M) codes to improve cardiac rehabilitation outcomes. The webinar will address how primary care clinicians can ensure patients are being referred for appropriate care and will cover how to ensure the clinician is being paid for providing the services. We will also explore how these activities can count as an improvement activity under the Quality Payment Program (QPP). Register today for this webinar on Wednesday, May 1, from noon to 1 p.m. CT. Practices sometimes find it challenging to find measures for their practice. Some measures that they have routinely reported in the past have been marked "Topped-Out." TMF consultants will discuss what this means, the impact this could have on your Quality category score, and actions to take to maximize your Quality score. Register today for this CMS webinar on Tuesday, May 14, from 2:30 to 3:30 p.m. CT. Greater knowledge of the cost measures and how to use cost containment techniques can help small practices achieve high MIPS cost scores. This upcoming event will focus on learning how cost scores are calculated, how much they impact overall MIPS scores, and how you can identify and adapt in areas that are impacting your cost score the most. Register today for this webinar on Wednesday, May 15, from noon to 1 p.m. CT. TMF consultants will provide a live walk-through of the QPP.CMS.gov website to demonstrate locating the information you are looking for and provide guidance on efficient use of the Resource Library on this site. In addition, a live walk-through of the TMF Learning and Action Network and the associated resources will also be provided. Register today for this CMS webinar on Thursday, May 16, from 10 to 11 a.m. CT. Greater knowledge of the cost measures and how to use cost containment techniques can help small practices achieve high MIPS cost scores. This upcoming event will focus on learning how cost scores are calculated, how much they impact overall MIPS scores, and how you can identify and adapt in areas that are impacting your cost score the most.